USD/CAD is the well-known currency pair consisting of the Canadian dollar and US dollar. Mostly the word “funds” or loonie is used for it. It demonstrates that how many Canadian dollars are required to purchase one U.S dollar. Loonie is considered one of among seven main currency pairs containing U.S as well as the most trading pair in the forex market. A high rate of trading makes it very liquid. As the currency pairs get affected by some external factors that create influence on an individual value of currency, like this the USD/CAD pair becomes fluctuate due to the interest rates differences set by Bank of Canada and Federal Reserve. Such as an intervention caused by Fed in forex market aimed to strengthen U.S dollar likely to raise the value of USD/CAD. In the past, the Canadian dollar has created an impact on the movement of US dollars, rising against US dollars while slightly falling against some other currencies. In CAD/USD forecast, relationship helps provide some clues regarding shift and movement in US economy. Since 2002, there has been seen a consistent increase in CAD against USD along with various international currencies. As Petro currency volatility regarding oil prices has been matched globally by the volatility of CAD because of Canadian role as a major exporter of oil. Negative correlation lies between USD/CAD with other currency pairs AUD/USD, NZD/USD and GBP/USD over long period as in these pairs US dollar is working as quoted currency instead of base currency. USD/CAD chart demonstrates the efforts to rally initially on Friday, but the pullback in order to make a little shooting star. A shooting star is almost identical to shooting star regarding its implication on Thursday, means that the chances of getting the pullback have been increased. Ultimately we think that about the continuous strengthen of US dollar so the sale of anything at this time interval can work the best short term. Alternatively, highs from the session on Thursday can be break by us being as buyers. Last week, CAD sagged badly as CAD/USD chart has been shot up for 200 points. This pair closed at 1.256. This week demonstrates the employment change. Below a glance has been put on some main market-movers and USD/CAD technical analysis. USD/CAD forecast for Trade balance linked closely to the currency demand. The indicators show a trade deficit for last two months, the deficit is great than expectations. NHPI pointed out the inflation in the housing sector. Continuous peak readings have been observed on index and little change is expected in near future. 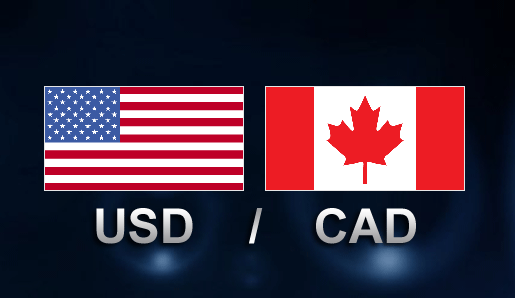 USD/CAD forecast regarding employment is observed to be dropped from the last two months but expected to rise soon.